Typical symptoms; Pain at the top of the arm with overhead activities, movements such as combing and brushing your hair, lifting your arm up to the side. Pain can be acute and severe in the event of a full thickness tendon tear. 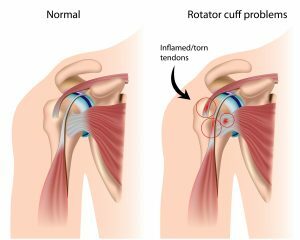 Rotator cuff tendinopathy is now the preferred term for what was once called rotator cuff tendinitis or tendinosis. The word tendinopathy confers that this is essentially really an age-related condition and is due to soft tissue degeneration. This may begin to explain why it is so common. Over 600,000 people a year see a GP with a new episode of shoulder pain each year and 1:4 of these have rotator cuff tendinopathy (Ottenheym 2001). 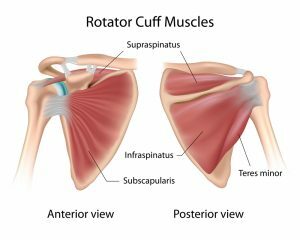 What is your rotator cuff and what does it do? Your rotator cuff in your shoulder is comprised of four muscles. Each muscle originates from the shoulder blade, or scapula, and inserts on your arm bone, or humerus. 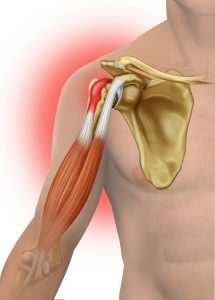 These individual muscles (described in the ‘Muscle Problems in the Shoulder’ section) coalesce together at the shoulder joint to comprise a thick “cuff” over the joint. 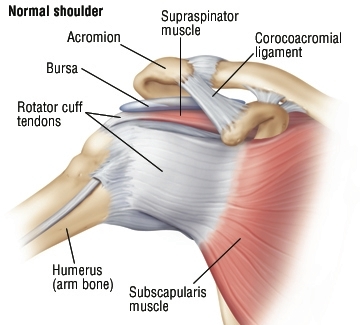 The rotator cuff has the important job of stabilising the shoulder as well as elevating and rotating the arm. Essentially the shoulder joint socket itself is very shallow and small in circumference compared to the size of the ball joint on the end of your arm bone that it receives. A good simile would be a golf ball that sits on a small tee! 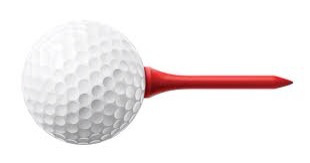 The rotor cuff is important as it straps the golf ball on the tee, centralising it and keeping it secure!!! This allows freedom of movement and makes the shoulder the most mobile joint in your body. All four rotator cuff muscles work in unison when you lift your arm up and pull the joint together, stabilising your shoulder. What are the symptoms or rotator cuff tendinopathy? Allied with rotator cuff problems different structures around your rotator cuff may also become injured. 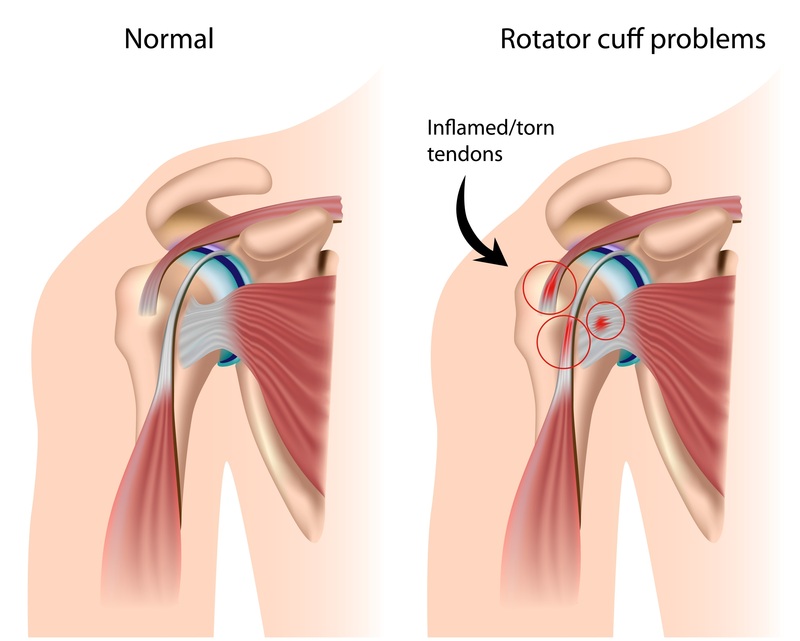 Issues generated from your rotator cuff may also contribute to shoulder impingement. This can also cause limited motion and function. Rotator cuff tendons are protected as they pass into the shoulder by bones (mainly the acromion) and ligaments that form a protective arch. As the tendons pass through the arch there is a protective lubricating sack called a bursa (subacromial bursa) that forms a smooth friction free surface to allow the tendons to slide over one another and avoid rubbing on bony surfaces. The main bone that forms the protective arch (the acromium) can develop bony spurs as we grow older. This is illustrated in the diagram below. This narrows the space and can rub on either the rotator cuff tendons or bursa resulting in tendinopathy or bursitis. Calcific tendinitis of the shoulder is a condition characterized by the deposition of calcium (hydroxyapatite crystals) in the rotator cuff tendons and this occurs in up to 7.5 % of adults. Women are more frequently affected than men, with a prevalence in their fourth to sixth decades of life (Serafini et al 2009). 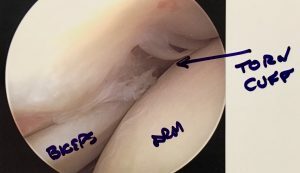 Inflammation or injury to the shoulder can cause a build-up of calcium deposits to develop within rotator cuff tendons (hence the term calcific tendonitis) . 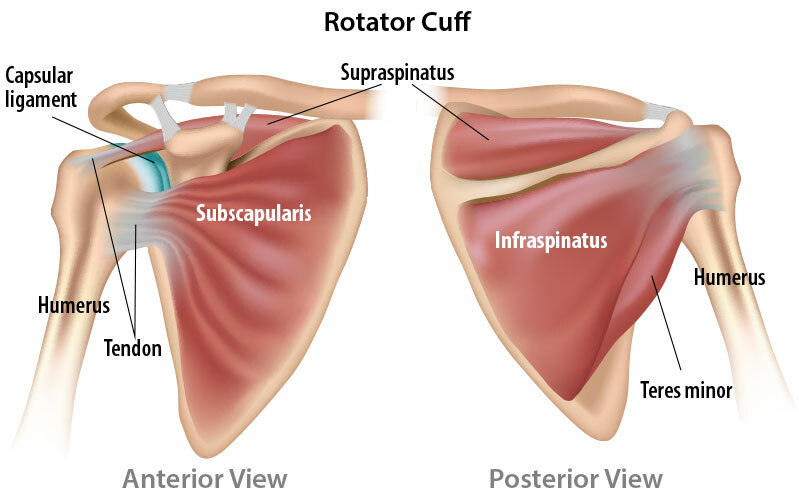 The most commonly affected tendon of the rotator cuff is the supraspinatus (80 %), followed by the infraspinatus (15 %) and the subscapularis (5 %). When calcium builds up in the tendon, this exerts pressure in the tendon and causes friction and chemical irritation. This can lead to acute intense pain. In addition to the chemical irritation and pressure, the calcific (calcium) deposit reduces the space between the rotator cuff and the acromion, as well as affecting the normal function of the rotator cuff it causes sub-acromial impingement. While the calcium is being deposited, you may feel only mild to moderate pain, or even no pain at all. For some unknown reason, calcific tendonitis becomes very painful when the deposits are being reabsorbed. 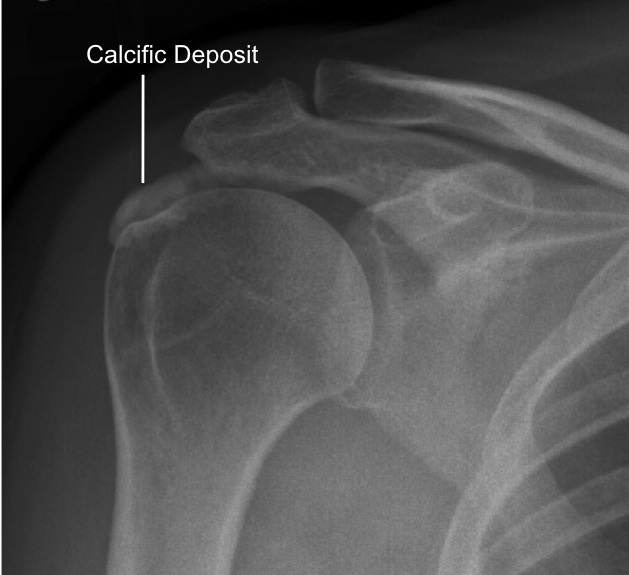 The pain and stiffness of calcific tendonitis can cause you to lose motion in your shoulder. Lifting your arm may become very painful. The biceps muscle lies in the front of your upper arm as most of us know. It helps you bend your elbow and rotate your arm. It also helps keep your shoulder stable. 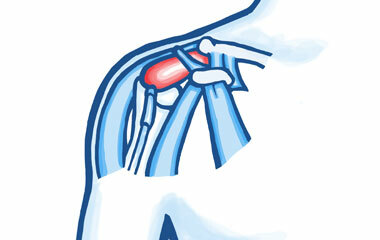 The biceps muscle has two tendons that attach it to bones in the shoulder. The long head attaches to the top of the shoulder socket and the short head of the biceps tendon attaches to a bump on the shoulder blade (coracoid process). In most cases, damage to the biceps tendon can be associated with regular overhead activities.